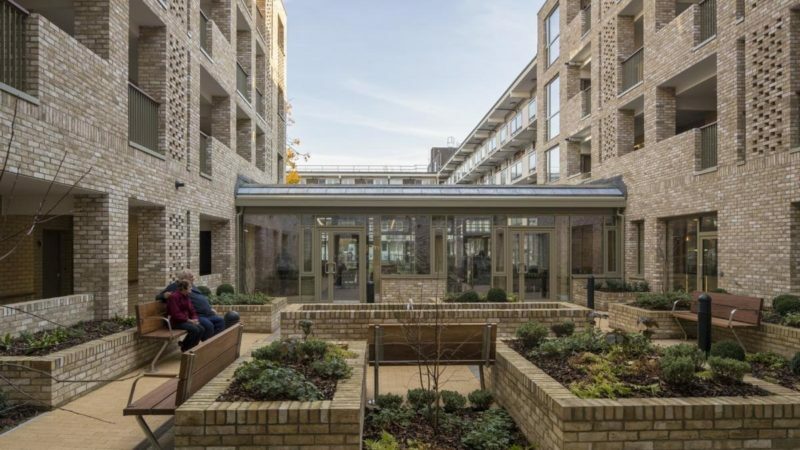 Phoenix Community Housing, a resident-led non-mutual housing co-operative, have completed their first development of 60 one and two-bed extra care homes for affordable rent next to their existing properties for older people, freeing up some of their larger properties. Phoenix Community Housing was created in 2007 as the first community gateway in London and one of just four in the UK. The community gateway model was developed by the Confederation of Co-operative Housing, Co-operatives UK and the Chartered Institute of Housing to give tenants more control of their communities. They were transferred ownership of 6,500 homes in Bellingham and Downham from Lewisham Council. As a non-mutual co-operative, they are owned by more than 2,500 shareholding residents, whilst allowing non-members to be tenants as well. The model empowers tenants and leaseholders to take a central part in decision-making as shareholding members. Tenants and leaseholders elected by residents are the largest group on the management board. The chair and vice chair of the board are both tenants. All residents are encouraged to get involved to influence services and future priorities. Phoenix support local community initiatives to improve the environment and quality of life and are consistently named one of the best landlords in the UK. In 2014, Phoenix Community Housing identified an opportunity to provide new homes for their older residents on an underused, but constrained site, adjacent to a 1960s block of flats. This will in turn free up larger homes for local families. As their first new build development, Phoenix were keen to set a high standard for others in the pipeline. The project was funded by Phoenix’s own borrowing facility with grant funding from the GLA and Lewisham Council. Rent for a 1 bed home is around £166 per week, and there are further service charges and costs to cover extra care services. As a resident-led organisation, Phoenix engaged extensively with existing and new residents. Many of the discussions at consultation events informed elements of the design by Levitt Bernstein Architects, which has won several awards. The building works with the tight plot and adjoins the existing block to form a horseshoe with two new courtyards, one enclosed and intimate and another more open and green, connected by a new garden room, providing a light-filled communal space. All homes are dual aspect and accessed via outdoor galleries. Planters and seats in front of kitchen windows allow for personal gardening and socialising. The brick lattice screens in front of entrance doors provide a degree of privacy, whilst balcony details reference the 1960’s building next door. The extra care apartments have been specifically designed around the needs of older people who wish to remain independent in a home of their own. Around two thirds of residents will require some personal care, for some this will be minimal, while others may need a higher level of care. There are care and support staff on site 24/7. The staff also work with residents to develop social, recreational and educational activities open to both residents and older people living locally. The scheme also has communal areas, including a catering kitchen and dining area, activity room, garden room, lounge area and a shared courtyard garden. The homes are available for Lewisham residents over 55 in need of the care available at the scheme. Existing Phoenix tenants looking to downsize are prioritised to free up larger properties for others. 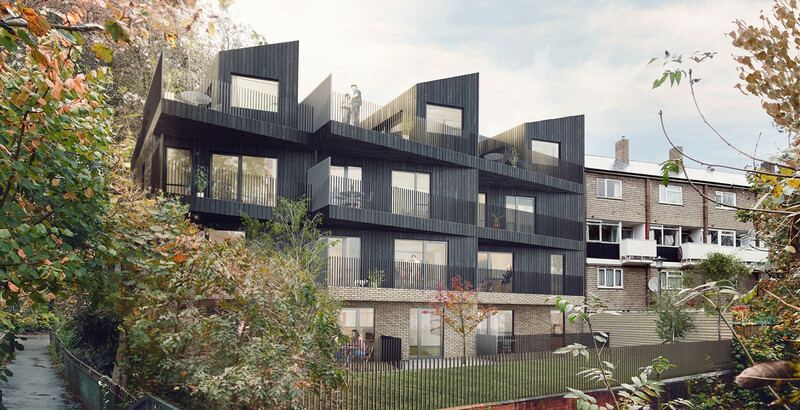 Phoenix have an active pipeline of developments, including planning permission to build 22 new homes for affordable rent adjacent to existing properties at Forster House on Whitefoot Lane, plans for a new 4-house scheme which are expected to be available for affordable rent in summer 2019, and planning permission for 8 new homes at Riverpark Gardens.